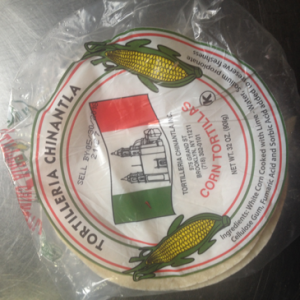 Corn tortillas straight off the plane from the Bronx, NYC. Strictly for personal consumption though. But we do have the same thing in blue from the lovely Cool Chile Co in London making their way onto this week’s menu at the Embassy. Pure blue corn tortillas sandwiching refried black beans, spinach and cheese (if that’s your thing, walnuts if it’s not), saute spiced potatoes and salsa. Full menu here.